South Ossetia’s declaration of holding a referendum on joining Russia seems to have more to do with local power dynamics than regional geopolitics. The recent South Ossetian announcement of its intentions to hold a referendum on joining the Russian Federation came about suddenly. While announcing his decision, Leonid Tybylty (better known by the Russian version of his last name Tibilov), de facto president of the tiny breakaway republic of South Ossetia said that his nation ‘must be reunited with brotherly Russia to ensure the security and prosperity of South Ossetia and its people for centuries’. The statement was made following Mr Tybylty’s meeting with Vladimir Putin’s aide on Abkhazia and South Ossetia, Vladimir Surkov, who is the republics’ direct link to the Kremlin. All four political parties which sit in the South Ossetian de facto parliament expressed their unconditional support for the idea of becoming a part of the Russian Federation. Even political parties which don’t have seats in the parliament have issued statements emphatically praising the move. 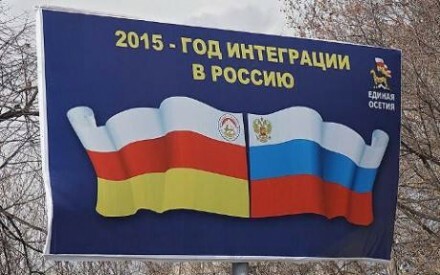 In May of this year, the South Ossetian and Russian parliaments ratified a bilateral agreement on alliance and integration, which effectively brought South Ossetia’s defence, customs, foreign policy, and education under Russian control. The South Ossetian Ministry of Internal Affairs will now also cooperate more closely with its Russian counterpart in the framework of joint Information and Coordination Centre. Although politicians in Tskhinvali (Tskhinval) paint an idyllic picture of the unification project, there seems to be more to it than meets the eye. The idea of South Ossetia joining the Russian Federation and uniting with North Ossetia enjoys overwhelming popular support within the de facto republic, which broke away from Georgia in 1991, following a war between South Ossetian separatists and the central Tbilisi government. Attempts by the Georgian government under Mikhail Saakashvili to take back the territory by force in August 2008 were quickly rebuffed by Russian forces in a five-day war which saw Russia penetrate deep into Georgian territory. The legacy of the two wars was an outpouring of refugees/IDPs — with Georgians fleeing to Georgian-controlled territory and Ossetians fleeing to North Ossetia and other parts of Russia. In 2008 Russia recognised South Ossetia and Abkhazia (another de facto state which broke from Georgia) as independent states and set up military bases on their territories. 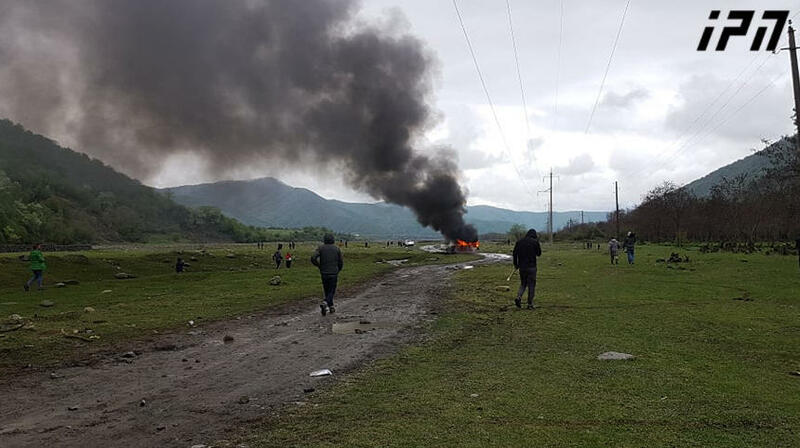 The South Ossetian economy is completely reliant on Russia and following the war, large sums of money as well as material goods meant as aid, disappeared amid widespread allegations of corruption on the part of the South Ossetian de facto authorities. 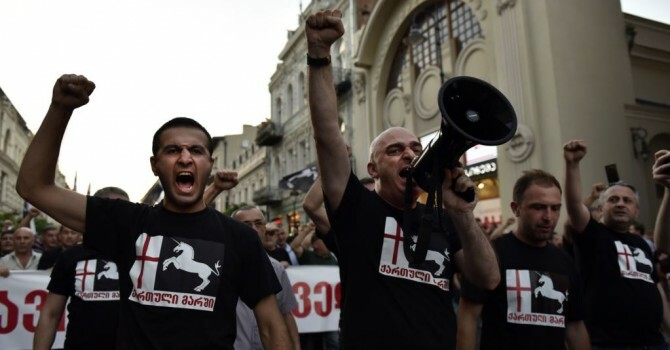 Since it broke away, and especially since 2008, Ossetians have looked to Russia for their security and survival as a nation. Linked culturally and linguistically with North Ossetia within the Russian Federation, ties between North and South Ossetia have grown stronger since Russia recognised South Ossetia’s independence. As the de facto border between South Ossetia and Georgian-controlled territory is all but closed (apart from a few strictly controlled checkpoints), South Ossetia’s only access to the outside world is via the Roki (Ruk) tunnel which leads to North Ossetia. It is understandable therefore, that since its recognition, calls for uniting with Russia have become stronger. 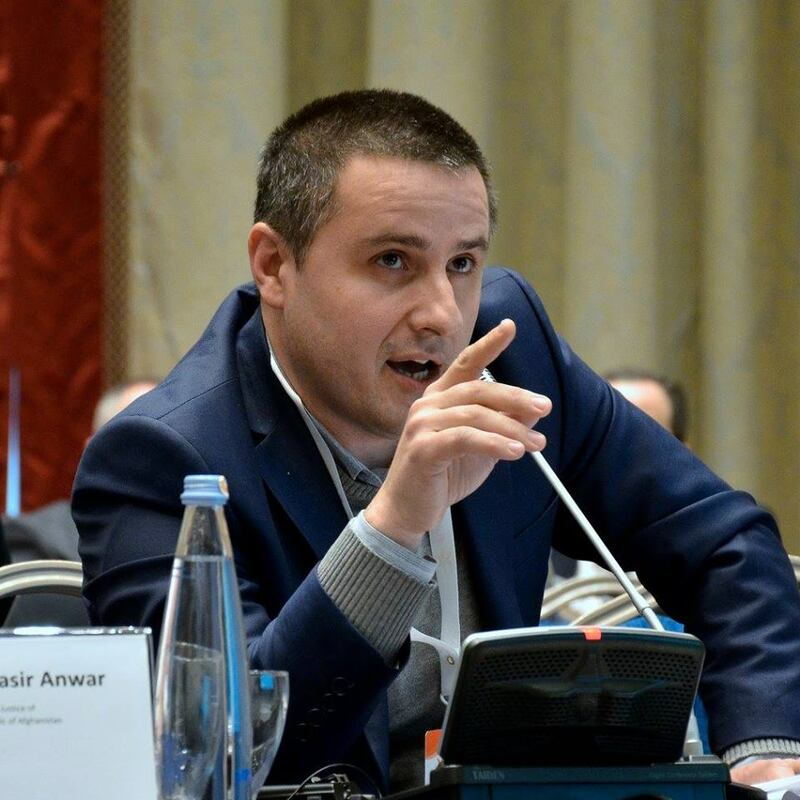 In his conversation with DF Watch, South Ossetian blogger and independent expert Alan Pæræstaty (Parastayev) stressed that virtually all South Ossetians demonstrate pro-Russian political leanings and favour eventual unification. According to a survey conducted by researchers Gearóid Ó Tuathail and John O’Loughlin in late 2010, more than 80% of South Ossetians favour unification with Russia, while only 16% welcome the idea of independence. The figure gives a strong mandate for local politicians to pursue the unification project. The figures stand in stark contrast to some 60% of Abkhazians who favour the idea of independence. Among ethnic Abkhaz, who control the governance structures at all levels, the figure is as high as 80%. Unlike their Abkhaz counterparts, major South Ossetian political parties have repeatedly expressed their support for full formal integration with the Russian Federation, which prompts the question about the reasons for Mr Tybylty’s timing. In her article for Ekho Kavkaza, North Ossetian journalist Zhanna Tarkhanova suggests that the referendum declaration is an attempt to boost Mr Tybylty’s declining popularity before the presidential elections in 2017. The United Ossetia political party holds the majority in the South Ossetian parliament and has long advocated for the idea of unification with Russia, using a contour of united South and North Ossetia as its logo. Its leader Anatoliy Bibylty (Bibilov) was a former presidential candidate and is a rival to Mr Tybylty. Although Mr Bibylty denied that his party had meant to monopolise the idea of unification, which he described as a ‘national ideology’, Mr Tybylty’s announcement will undoubtedly strengthen his popularity at Mr Bibylty’s expense. Alan Pæræstaty questioned Mr Tybylty’s logic behind the move. The announcement also comes amid continued reports of the government’s pressure on the local NGO sector. Last year, South Ossetia followed the lead of Russia and introduced a law on ‘foreign agents’ which restricts ways for civil society actors to receive funding from abroad. More recently, two prominent civil society activists in South Ossetia, Liræ Kozaty (Lira Kozayeva) and Dinæ Ælborty (Dina Alborova), announced that they were formally closing their organisations, the Association of South Ossetian Women for Democracy and Human Rights and the Association for Social, Economic, and Cultural Development in protest at what they claim has been a sustained campaign of intimidation and harassment on the part of the authorities. 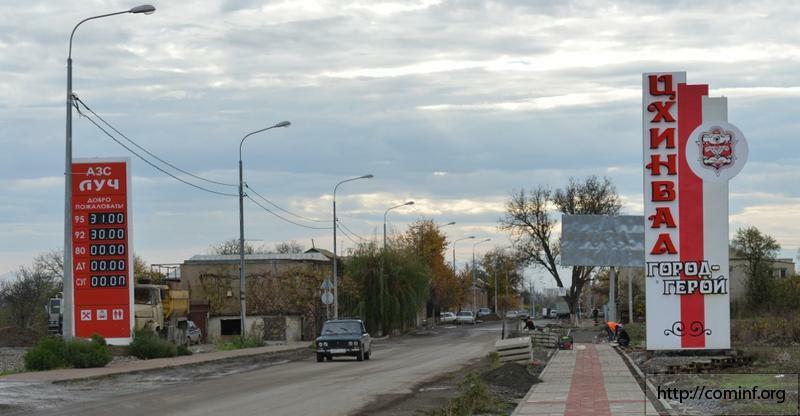 Supporters of the referendum often bring up the argument that only unification will ensure South Ossetia’s security. The republic however, already contains two large Russian military compounds and Russian troops continue the process of installing large fences along the administrative boundary line with Georgia — a process known as ‘borderisation’. South Ossetian forums and social networks demonstrate, however, that some South Ossetians have doubts about the idea. ‘The referendum is necessary for Ossetians to understand that there won’t be any unification and to finally take care of themselves instead of living with illusions. This referendum will unfortunately bring discord in our society’, one user wrote. Moscow’s reaction to Tskhinvali’s initiative helps to shed some light on unification prospects. The referendum announcement electrified South Ossetian society and stimulated an array of comments from local political parties, NGO activists, and journalists. Mr Tybylty stressed that he notified Mr Surkov of referendum plans during their meeting that day. The Kremlin, for their part, moved quickly to throw cold water on the idea. On the day following the announcement, Vladimir Putin’s press secretary Dmitriy Peskov responded by saying that Mr Tybylty and Mr Surkov had discussed integration issues, but that the possibility of a referendum had not been raised during their meeting. There’s currently a growing sense of ‘Crimea fatigue’ within Russian society. According to a recent survey conducted by Levada Centre, 47% of Russians see South Ossetia as an independent state, while only 21% see its future as being a part of the Russian Federation. While Abkhaz nationalism has been causing a strain in relations between Abkhazia and Russia, the pro-Russian position of Tskhinvali connected with its de facto full dependence on Russia raises the question of what Russia would have to gain by accepting South Ossetia as one of its federal subjects. The status quo serves Russia as an instrument of leverage over Georgia’s Euro-Atlantic ambitions — put bluntly, if Russia were to annexe South Ossetia in a Crimea scenario, it would lose South Ossetia as a bargaining chip. 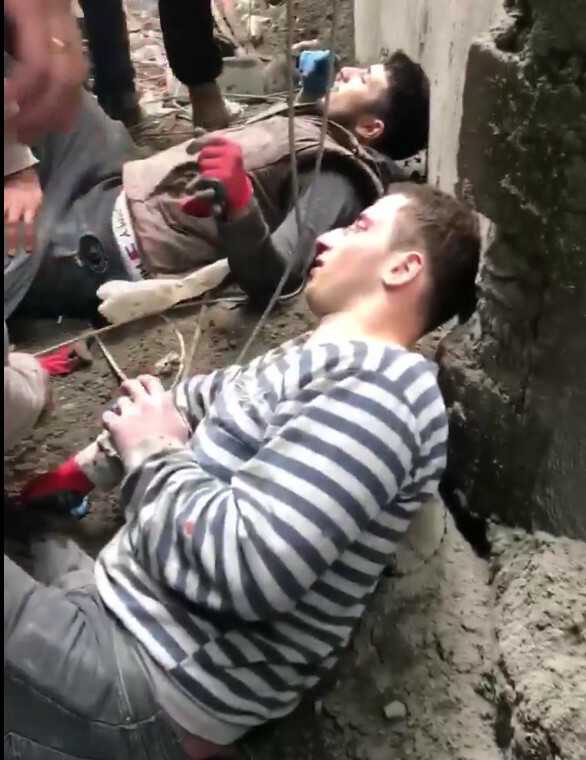 Moreover, given Russia’s current engagement in Syria and the breakdown of its relations with the West, any disruptions at its southern border could be an additional and unnecessary obstacle towards achieving its foreign policy goals. The seeming disagreement between Mr Tybylty and the Kremlin over what exactly was discussed suggests that the referendum might be the South Ossetian president’s internal instrument of leverage over local political forces in a purely domestic showdown, rather than being connected with Russia’s geopolitical ambitions for the region. In an anonymous conversation with DF Watch, one respondent based in South Ossetia suggested, however, that given the lack of transparency in South Ossetian political process, one shouldn’t exclude Russian hand in the referendum announcement. As the prospect of South Ossetia’s unification with the Russian Federation remains doubtful at least for the foreseeable future, the question that remains is what agency, if any, the de facto Tskhinvali government possesses with regard to addressing the issues faced by the inhabitants of South Ossetia. With rampant unemployment, dependency on Russian financial assistance and perpetual economic crisis, further strengthened by the economic crisis in Russia, the idea of the referendum serves as an attractive topic to distract from South Ossetia’s economic woes while at the same time boosting the popularity of the president and his administration. The case of what came to be known as the ‘Snow Revolution’ four years ago also throws into question the viability of South Ossetian democracy. Less than four years ago, non-partisan president-elect Allæ Jioty (Alla Dzhioyeva) was physically assaulted, forcibly hospitalised, disallowed from taking part in new elections, and subsequently replaced with incumbent president Leonid Tybylty — with tacit support and acknowledgment from Russia. With the international community virtually shut out of South Ossetia, the Georgian government in Tbilisi having no tangible leverage over the de facto South Ossetian authorities, and the Geneva discussions failing to make any significant progress on the peace process, it is hard to see a way out of the current political and economic deadlock for the South Ossetian people. The article makes use of South Ossetian terminology and discusses developments as seen from South Ossetia, which don’t necessarily reflect the views of DF Watch. South Ossetian names are transliterated according to how they would be spelled in the Ossetian language.